From the early 16th century to the eve of the Indian Mutiny, the 'white Mughals' who wore local dress and adopted Indian ways were a source of embarrassment to successive colonial administrations. This book uncovers a world unexplored by history, and places at its centre a tale of betrayal. James Achilles Kirkpatrick was the British Resident at the court of Hyderabad when he met Khair un-Nissa - "Most Excellent among Women" - the great niece of the Prime Minister of Hyderabad. He fell in love with her and overcame many obstacles to marry her, converting to Islam and according to Indian sources becoming a double-agent working against the East India Company. It is a remarkable story, involving secret assignations, court intrigue, harem politics, religious and family disputes. But such things were not unknown; from the early 16th century, when the Inquisition banned the Portuguese in Goa from wearing the dhoti, to the eve of the Indian Mutiny, the 'white Mughals' who wore local dress and adopted Indian ways were a source of embarrassment to successive colonial administrations. William Dalrymple unearths such colourful figures as 'Hindoo Stuart', who travelled with his own team of Brahmins to maintain his templeful of idols; and Sir David Auchterlony, who took all 13 of his Indian wives out for evening promenades, each on the back of their own elephant. 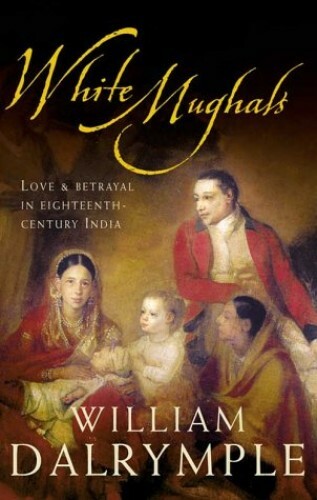 In "White Mughals", William Dalrymple discovers a world almost entirely unexplored by history, and places at its centre a compelling tale of seduction and betrayal.